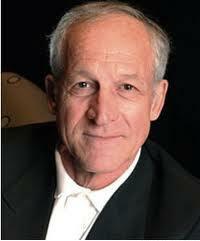 Emmy and Golden Globe winning actor, Daniel J. Travanti, of "Hill Street Blues" fame, will be one of the guest stars on CRIMINAL MINDS on October 13. In an episode entitled "Remembrance of Things Past" portrays an unsub that Rossi tracked for murders 25 years ago, now suffering from Alzheimer's disease. "Remembrance of Things Past" ~ When several women are found murdered in a similar fashion, Rossi (Joe Mantegna) revisits a cold case that has haunted him for 25 years, causing him to suspect that the original killer is at work again. Airs on Wednesday, October 23 at 9:oo p.m. ET/PT on CBS. Also guest starring is Mary Beth Evans ("Days of Our Lives") as the mother of a murder victim. One of my favorite actors. I can't wait for the new season and for this esp.